To make this recipe, start by using a knife to cut the pulp of the fruit away from the rind. Next, use the knife to cut the inside circle of the grapefruit into 'pie' shaped pieces. Remove all the pieces of fruit from the rind (You might have to use your fingers). 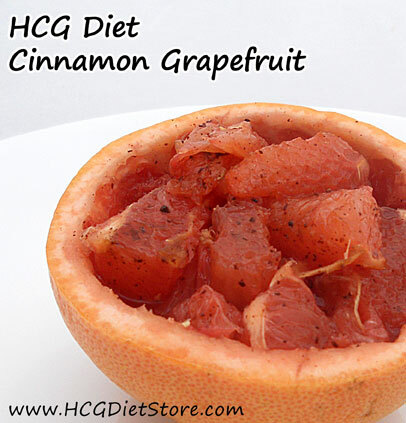 Place the grapefruit pieces on an oven-safe plate or shallow dish, then top with stevia and cinnamon. Broil 3 to 5 mins until caramelized.